Wardrobe Cabinet | The Rembert Company Inc.
Full width enclosed storage of clothing and garments. Shelves adjust easily in 2" increments using front and back shelf clips to relieve stress from the sides and adding strength to hold up to 200 lbs. (36"W.) or flip shelf over and use the shelf's formed edge to provide bin storage for smaller items. Doors close securely with 3 point tru-lock rod assembly system and locking handle. 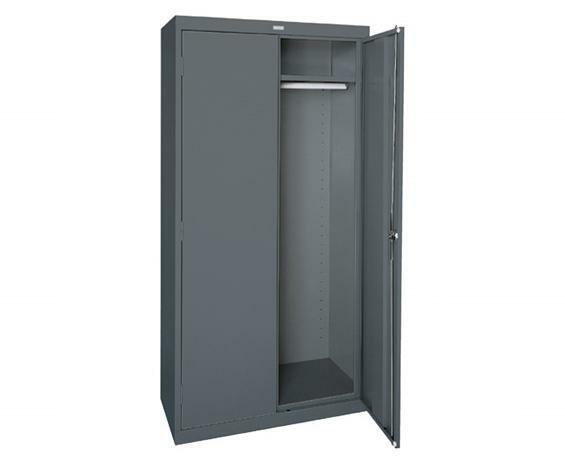 Includes full wide shelf for small item storage and sturdy garment rod. 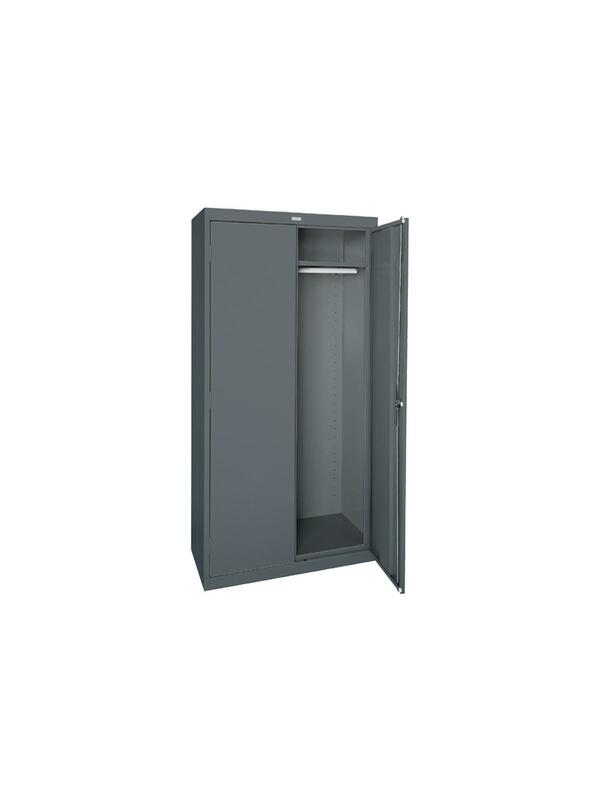 Uses contemporary designed three point recessed locking handles to secure belongings. 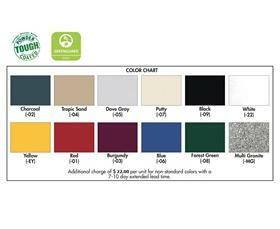 Available in 10 colors: Charcoal, Tropic Sand, Dove Gray, Putty, Black, White, Red, Blue, Forest Green, and Multi-Granite. Non-standard colors available for an up charge. FOB Shipping Point. W x D x H 36 x 24 x 72" 36 x 24 x 78" 46 x 24 x 72"